The casual game market is the big unconquered gold mine of the video game industry and it’s the gold rush all over again. MumboJumbo is bringing its fourth entry to the Midnight Mysteries series with Haunted Houdini. Billed as a premium casual game, can Midnight Mysteries – Haunted Houdini justify its hefty $6.99 price tag? Midnight Mysteries – Haunted Houdini follows our hero as he attempts to delve into the mystery of Houdini’s dead at the ghost of Houdini’s wife Bess’ request. In death Houdini was supposed to send Bess a message tell her that he made it to the afterlife, but the message never made it. Haunted Houdini guides you through a world of secret societies, psychics, and séances to discover what really caused Houdini’s demise and reunite the couple. It appears that Midnight Mysteries – Haunted Houdini uses the book The Secret Life of Houdini as the inspiration for the story line. I found the story to be entertaining and the magician theme to lend itself well to the game. The dialog options with the ghosts of some well-known historical figures were a little on the sparse side for my liking. Overall, the storyline is solid and harmonizes well with the game. 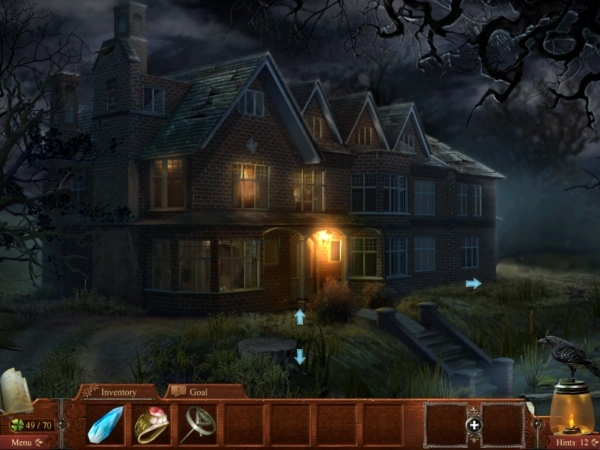 Haunted Houdini is a hidden object puzzle adventure game. The game balances the three genres well, the game providing strong examples of each style throughout the game. The puzzle sections are creative, challenging, and at times downright devious. Thankfully those playing on Casual or Advanced difficulty will be able to skip puzzles after a certain period of time has elapsed. 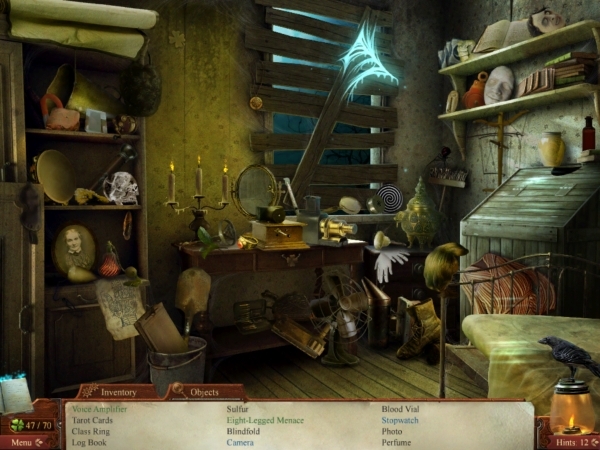 The hidden object portion of the game becomes challenging in its own right as the game progresses and manages to stay fun even after the fourth or fifth hidden object puzzle you encounter. Clues become vaguer, requiring players to be able to think creatively, not just have a sharp set of eyes. 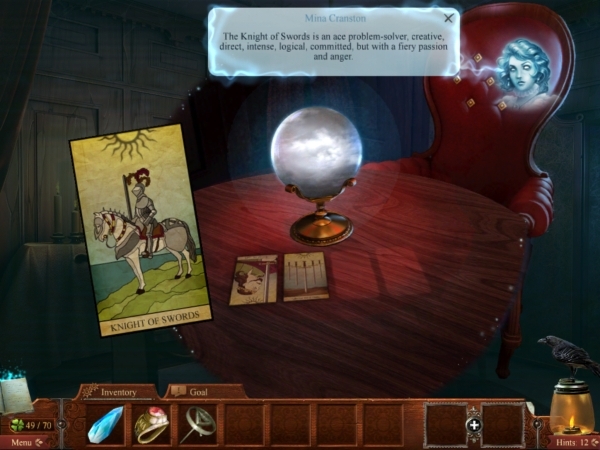 The adventure aspect of the game is extremely strong at well, the adventure puzzles are well balanced between logical and challenging. There are three difficulty modes to play through and an unlimited hidden object mode. The first three difficulty modes are unlocked from the start of the game and adjust the difficulty by changing the recharge time between hints, the time required before a puzzle can be skipped, and allowing some tools that can be interacted with to sparkle on lower difficulties. I wish it was possible to change the difficulty of the game on the fly. Unfortunately the difficulty you start with is the difficulty you are locked into for the rest of the game. It is possible to start again by create a new profile and starting again though. Once 40 of the possible 70 four leaf clovers are found in the regular game mode, the unlimited hidden object mode is unlocked. This mode is exactly as the name says, allowing you to race against the clock as you find every single collectable object in the scene. As to prevent random tapping, only 12 items at a time are on your list of items to be found. 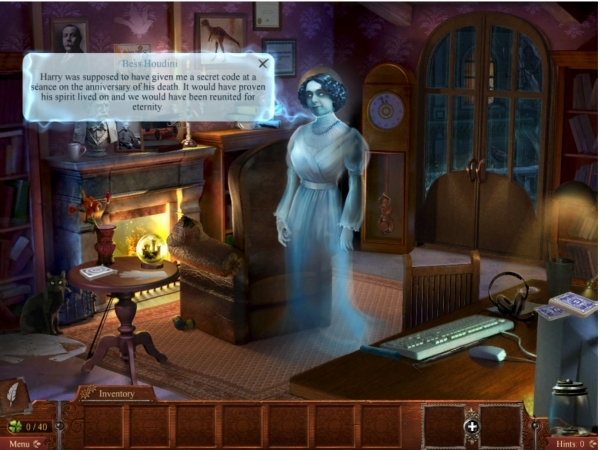 The controls in Midnight Mysteries – Haunted Houdini are on a whole very tight and responsive. Thanks to the ability to pinch to zoom, I had little problem interacting with objects in game. However, there were a few puzzles where it was impossible to zoom in and the hot zones were extremely small, leading to some very carefully tapping. The plus button used to merge objects is also extremely small, which had led me to press the wrong button several times. I believe this may be a by-product of the fact the game is also released for the PC, which benefits from a much more accurate mouse pointer for controls. But for the exception for a few hiccups, the game works well on the iPad. The graphics are very nice; the visual style is detailed and fits well with the theme and time period of Houdini. There is a nice balance between subtly highlighting objects that can be interacted with and having them blend in with the rest of the scenery. It is a very fine line to tread and MumboJumbo does a great job at it. I am not 100% sure if Midnight Mysteries – Haunted Houdini is Retina optimized. There are moments I swear it is, others I’m not quite sure. No matter what, the graphics are extremely sharp and is a pleasure to stare at for extended periods of time. The audio is a spooky and moody experience, fitting for the theme of the game. The sound effects are well done. The game is a pleasure to listen to and doesn’t get tiring after hours of listening to it. I do however wish there was some voice acting in the game. It would have provided a more immersive experience in the game. Overall, Midnight Mysteries – Haunted Houdini provides solid audio experience that comes close to perfection but just misses the mark. 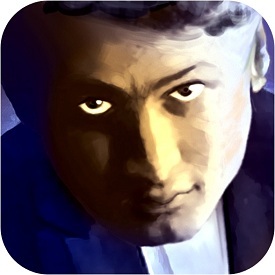 I can strongly recommend Midnight Mysteries – Haunted Houdini to anyone looking for a casual game to play on their iPad. For some the $6.99 price tag may be a sticking point, but I feel it is definitely worth it. The game is of extremely high quality and very polished. The graphics are gorgeous and the audio experience is near perfect. The controls on a whole work well. The gameplay is a great example of the genre and the story line is interested and engaging. The game can be upgraded with extra content that provides a bonus chapter or a strategy guide for $1.99 each. The collector’s edition comes with both the extra content and the guide for a $2.99 in app purchase. Even without the bonus content, Midnight Mysteries – Haunted Houdini is a fantastic addition to the Midnight Mysteries series.